ESET®, a global IT security firm, announced today that Xopero, Europe’s leading provider of data backup solutions has joined the ESET Technology Alliance. As a result, existing ESET customers now have the option to add Xopero backup and disaster recovery to their multi-layered security strategy. “With Ponemon Institute revising upwards the average cost of unplanned downtime in 2016 to $8,850 per minute, ESET Technology Alliance prioritized its critical cloud backup and disaster recovery vendor relationship, one needed to maintain the multi-layered security our users expect. With Xopero we’ve got you covered,“ said Jeronimo Varela, Director of Global Sales. ESET Technology Alliance will offer both Xopero’s on premise and cloud solutions, as well as its service provider products. All are part of its award-winning backup software and disaster recovery, data protection, and migration solutions for physical, virtual, and hybrid Windows and Linux IT environments. The wide offer will ensure business continuity regardless of natural disasters, computer outages, or other unforeseen events. The partnership will also reduce downtime, improve security and stability for systems and data, and lower the total cost of management and ownership. The alliance also means that customers and channel partners will receive an enhanced ordering experience, and improved access to the industry leading products needed to build their own custom multi-layered security solution. In addition, partners will receive competitive pricing on select ESET products when purchasing ESET and Xopero together. 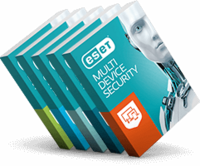 Launched in 2013, ESET Technology Alliance is an integration and technology partnership that aims to better protect businesses by offering a range of complementary IT security solutions. All members of the ESET Technology Alliance are carefully vetted in order to extend “best-in-class” business protection across IT environments. For more details about the offering, please click here. Additionally, more information about the ESET Technology Alliance found here.